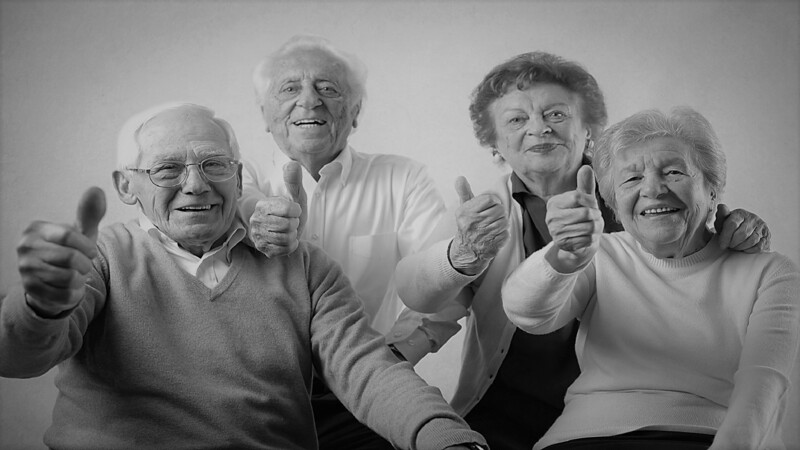 Each year, the Minnesota Association of Senior Services honors outstanding individuals for their work in the field of aging. In 2018, a second category was added; the Up and Coming Professional Award for those who have been in the field for ten years or less. Our very deserving 2019 winners have been selected, and we thank everyone who submitted a nomination. The Awards Committee had some very difficult decisions to make! Please watch for 2020 nomination forms to come out early in the new year, and consider nominating a deserving colleague! Outstanding Professional in the Field of Aging award winner Sue Bohnsack was surprised at a special presentation, attended by members of the Eden Prairie Senior Center, Eden Prairie Parks & Recreation staff, the Mayor of Eden Prairie, and many others wanting to celebrate her many accomplishments. MASS members Barb Lipinski, Stephanie Baumann, and Rebecca Kropelnicki presented Sue with the well deserved award. Sue's mother happens to be a participant at the center and was also able to celebrate her daughter! Congratulations Sue!! 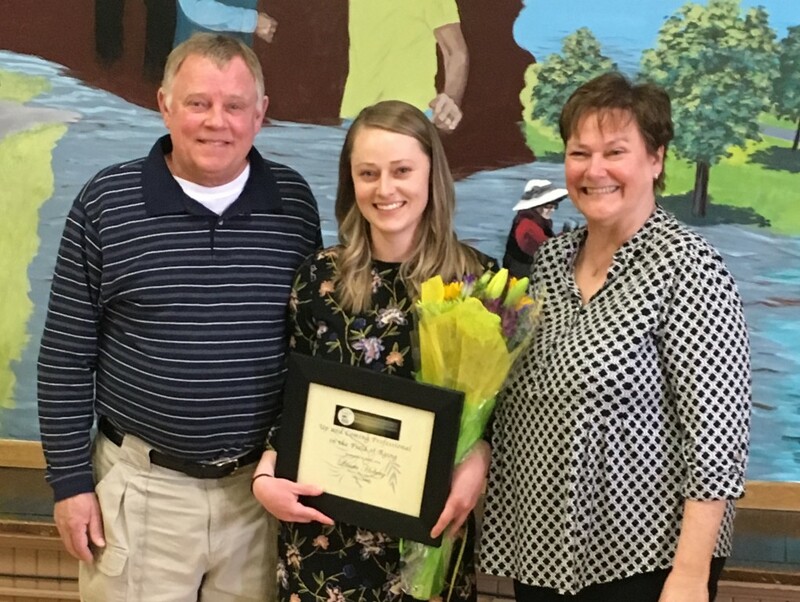 A wonderful surprise celebration was held at the Winona Friendship Center for Up and Coming Professional award winner Laura Hoberg, planned with her nominator and Director of the Friendship Center, Malia Fox. 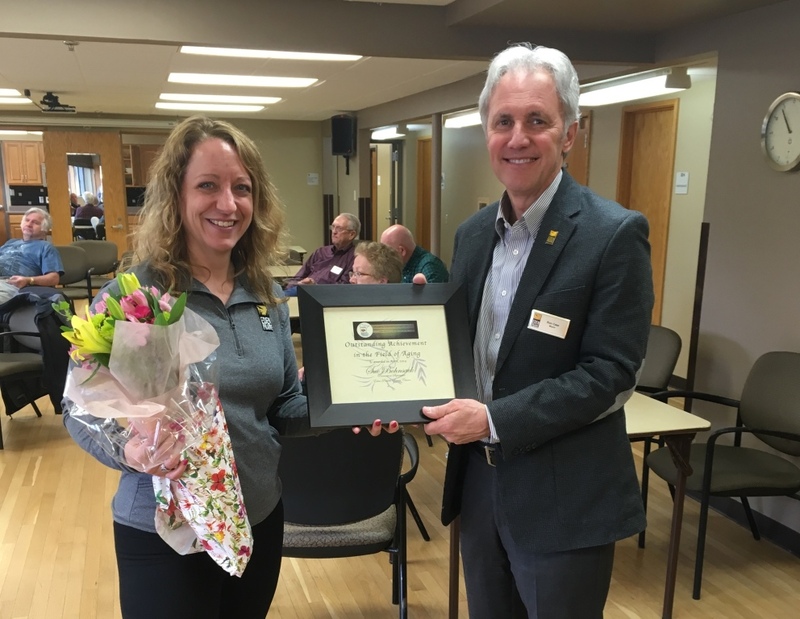 Laura was recognized by senior members, City of Winona and Winona Parks & Recreation staff, the Mayor of Winona, and many others wanting to sing her praises! Her parents even made a special trip from Monticello to attend the presentation! MASS members Barb Lipinski and Stephanie Baumann were proud to present Laura with the award. Congratulations Laura!! Check out this video of Laura's full presentation! Committee Members: Stephanie Baumann, Renee Brekken, Rebecca Kropelnicki, Amber Jacobson, Norm Kunselman. If you are interested in serving on the 2020 Awards Committee, please contact Stephanie Baumann at 651-322-6016 or [email protected] This is a fun committee to serve on, as our job is to honor and recognize our deserving colleagues for their hard work and dedication to the field. We are always looking for new members!